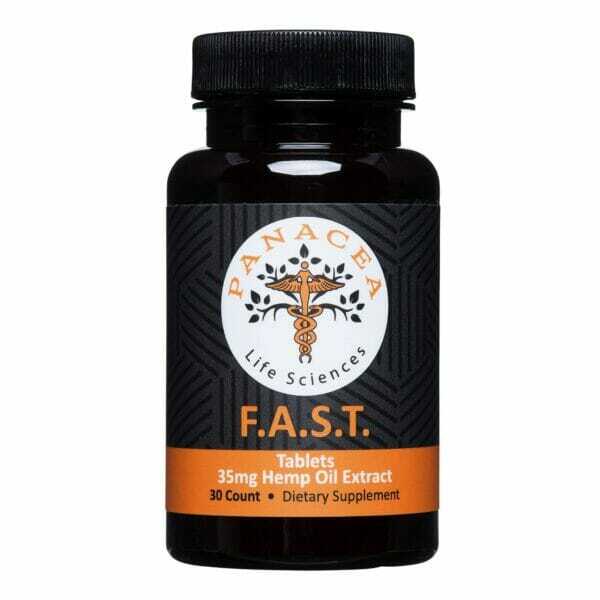 Get back to your life quickly with Panacea F.A.S.T! These organic sublingual tablets melt in your mouth to get your body back in balance. Our sublingual pills utilize a rapid delivery system that increases their bioavailablility, which means your body enjoys more of the naturally occurring antioxidants in our rich hemp oil. F.A.S.T. contain NO THC. Our products are all manufactured to GMP standards to ensure the highest quality. By using hemp grown in the USA and grown without pesticides, we ensure the quality process from plant to tablet is pure and natural. 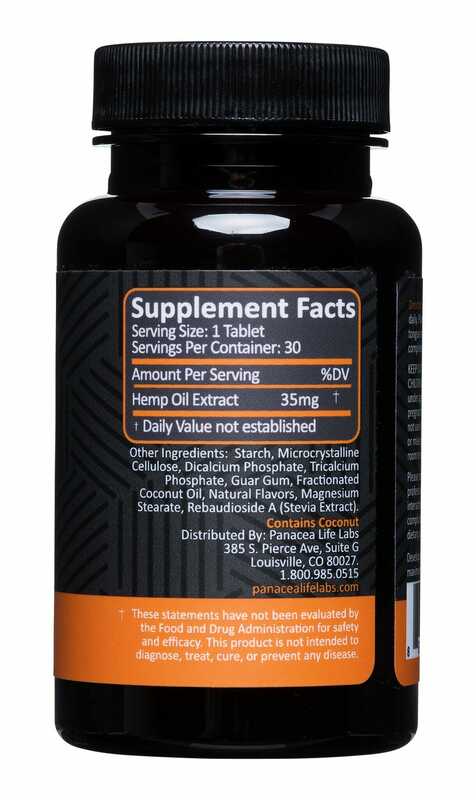 Bottle contains thirty 35mg F.A.S.T. sublingual tablets. Ingredients: Mannitol, xylitol, cellulose, crospovidone, calcium phosphate, guar gum, rebaudioside A (stevia extract), natural vanilla flavor, natural lemon flavor, magnesium stearate. I have been using this product for anxiety, and it has been AMAZING!! I highly recommend carrying this product with you if you’re going to be dealing with stressful situations. I like it better than my Rx meds, I can still function normally when I’m taking these, FAST is awesome. Boss (the dog) – I am a 10 year old Malamute and have endured issues with my back and hip which perpetuated some weight gain…. No judgment please. Anyway, post recovery I had trouble walking and my hips hurt standing up so shedding those pounds seemed like a never ending uphill battle. My owner gives me a FAST tablet every day and I feel much better the past few months and slimming down to my tuxedo weight! I have more energy and even like to make the full walk around the neighborhood now. I injured my hip while playing golf, and I found that Advil and Aleve upset my stomach while ultimately not helping subdue the pain. Tylenol also did not alleviate the pain. I found the FAST sublingual finally provided me something that worked. I had to experiment with the dosage for the most effective treatment. The first few days I took two tablets a day, but there was little change. I then took four tablets, two tablets twice a day, and this dosage worked. I took this regimen of four tablets a day for a week and my hip was feeling significantly better. I reduced the dosage to two tablets a day for about another week and my pain was gone. A year and half ago, I was severely injured while skiing. Originally, I was told that the recovery time was 6-12 months, but after 12 months, I was still experiencing severe low back pain even though I had tried every remedy that I heard about. Then I found that I also had a damaged vertebrae. Surgery was not recommended so I tried a very expensive spinal injection that was not covered by my insurance plan. For about 3 wonderful days, I felt as good as I did before the injury, but then the pain gradually started coming back. After two weeks, there was no improvement. I now realize that I was in a state of depression thinking that I would have to live with this debilitating pain for the rest of my days. The only other options such as a narcotic, ibuprofen, Tylenol were not recommended due to the side effects. I had used medical marijuana during the first year. It helped but did not eliminate the pain and I don’t want to take a product with THC indefinitely. Then I heard about the FAST product so I tried it and it has really helped me be able to function with my damaged vertebrae. Most days are pain-free. When I do chores like vacuuming, I do experience some pain but it doesn’t last long. I think dosing instructions are essential. With the PLS product, I started with 8 tablets per day for the first 3 days to get the product into my system, and then cut back to 6, then 5 and then 4. I think either 3 or 4 per day is the right dosage for me to control my pain. I have been using it for about 5 weeks and plan to continue indefinitely. 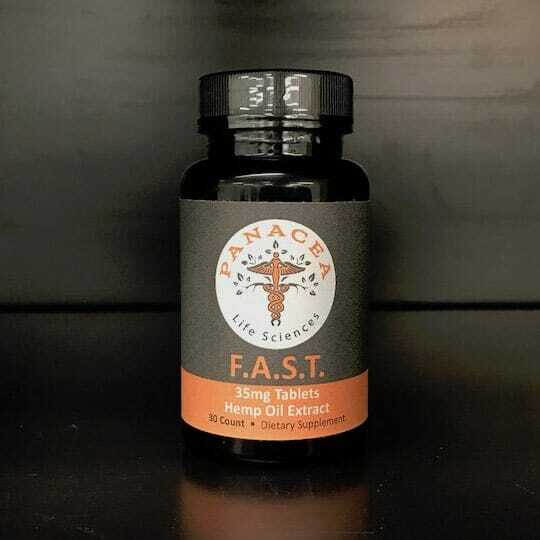 I think the FAST product has the potential to help so many with no side effects. I know so many seniors who are living with chronic pain due to old injuries, recovery from surgery or needing surgery such as a knee or hip replacement, osteoarthritis, etc. At first I was concerned that it would cause a high, like traditional marijuana and was reluctant to take it. I don’t like not being able to function daily so anything psychotropic wouldn’t be an option Well, it turned out, it was nothing like that. I didn’t feel groggy, high nor dizzy. It wasn’t like something was ‘masking’ the pain. I just felt more balanced, better, everything didn’t hurt any more. I don’t know yet if it can be a permanent cure though. When I forget to take my pills, I feel the pain slowly creeping back. It has the potential to help so many people with debilitating pain as well as help with other health issues like regulating nausea and vomiting in humans and animals, not to mention, serious diseases such as cancer and epilepsy. It’s unfortunate there’s such a stigma surrounding the product name. This is a really amazing compound. I cant believe the results i experienced in a short amount of time. 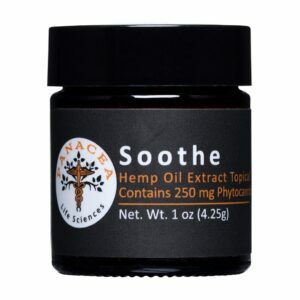 This product has helped me with several serious issues that had become chronic. Great value for the results! The fact that there is Zero THC was very important to me. 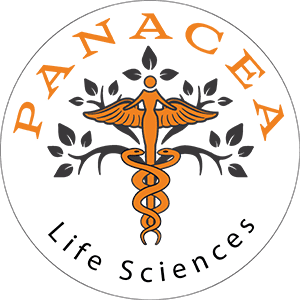 I’m a big fan of Panacea’s hemp oil products and would certainly recommend it for anyone currently struggling through physical or emotional pain.